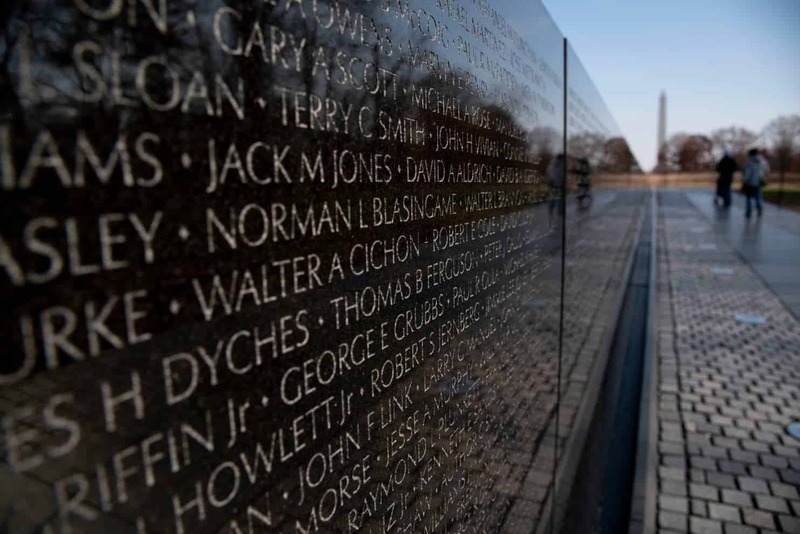 What Do Vietnamese-Americans Think of ‘The Vietnam War’? I am emotionally exhausted. By the end of this month, I will have seen 36 hours of documentary film about a momentous event that is the backbone of my identity. It doesn’t matter that I was born after the fighting ended. 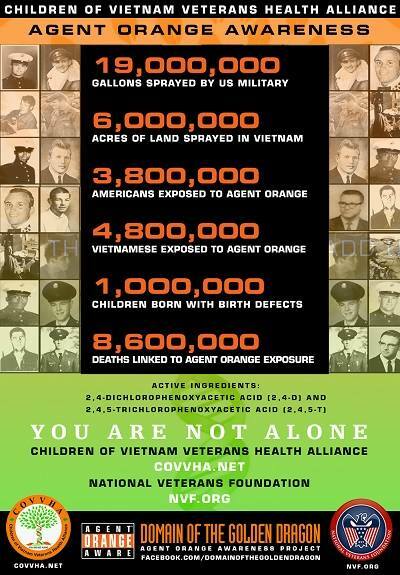 Whether I like it or not, the Vietnam War is my war, too. 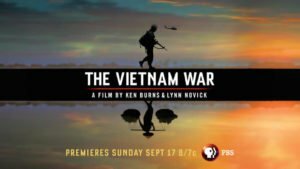 The first time I viewed all 10 parts of “The Vietnam War,” I was preparing to interview Ken Burns and Lynn Novick for “Second Wave,” my new podcast about American stories with connections to Vietnam. Since the premiere of the documentary on PBS, I’ve watched it almost nightly, as well as several hours online with my dad so that he could see it captioned in Vietnamese. I’ve been surprised by the strongly negative reactions by some of my fellow Vietnamese-Americans to this film. After the first night, they took to social media and email chains: This is fake news! The producers are Communist sympathizers! It makes the South Vietnamese look bad! It’s another patronizing film made by two white people! As a longtime journalist turned producer, I initially found the series to be enlightening and more nuanced than previous treatments of the Vietnam War. I can definitely say I know more about this war now than I did before. I felt gutted at times – a mix of disbelief, anger and profound disappointment in humanity, American foreign policy, and the egotistical leaders who inflicted extreme violence on innocent people. Sharing the viewing experience with my refugee dad added another layer of complexity. He had been an officer with the Army of the Republic of Vietnam, served as a teacher in the civil service for most of the war, was imprisoned in a Communist “re-education” camp after the war ended, and eventually found a way to flee an oppressive regime. The war years had been difficult, but at least he had his dignity. He loathes Communism, and I will never fault him for that. After watching four episodes together, we agreed the filmmakers got a lot of things right about the timeline of events. But in some instances, my dad helped me understand where they missed opportunities to teach viewers fuller lessons about the complexity of the Vietnamese experience. Each time he was jarred by the oversimplification of the Vietnamese side, my dad asked me to pause the video so that he could explain how he understood those events. In Episode 1, he pointed out that there were many players aside from Ho Chi Minh who rose up against the French to fight for Vietnam’s independence. He felt strongly that their stories should not have been left out. In Episode 3, he noted that the South Vietnamese government had to quash a rebellion by one of its own military units in Danang for complex reasons, although the episode looked to Americans as if they were being asked to fight the Vietcong while the South Vietnamese were fighting among themselves. At numerous points, from the 1963 assassination of President Ngo Dinh Diem on, my dad felt the tensions between South Vietnam’s Buddhists and Catholics deserved further exploration. This religious division prevented unity at a time when the country desperately needed to fight the simplicity of Communist ideology. President Nguyen Van Thieu and Prime Minister Nguyen Cao Ky of South Vietnam were imperfect leaders, certainly, but their depictions felt obvious and oversimplified. The film reduced Thieu to a caricature, seeking power for personal gain. I didn’t feel the Vietnamese voices in the film were close enough to Thieu or credible enough to support those simplifications. We also became a little weary of the back-and-forth on the Army of the Republic of Vietnam. These service members were described en masse as corrupt and inept in some episodes, then valiant and strong in other episodes. One would have had to watch the entire series to get a nuanced view of the ARVN, and I just don’t think most people have the patience to watch an 18-hour film these days. The more we watched, the more we realized that we had to tamp down our expectations as minorities, and understand the film’s limitations. Not just the fact that it’s limited to 18 hours, but also that it’s aimed at American public television viewers who are, well, mostly not Vietnamese. They most likely care first and foremost about America’s role in this war. By accepting this reality, I believe my dad learned more about how the Americans viewed the Vietnamese during the war. I tracked his reactions as he listened to the mother of an American soldier who had insisted on joining the military and died in Vietnam. Having lost a brother to a Vietcong grenade in 1971 and taken my grandmother to identify the body, my dad could relate to that mother’s grief. While Mr. Burns and Ms. Novick may have featured more white American voices than Vietnamese perspectives, they were unflinching in their use of historical recordings and documents to show the extent to which American policymakers looked down upon the Vietnamese and used them as a proxy in a much larger geopolitical war. 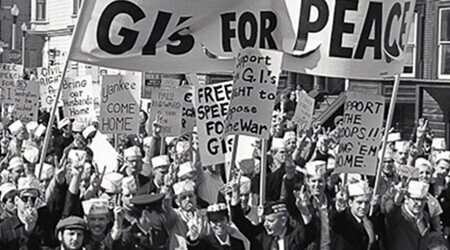 I cringed as it became clear the Defense Department was reducing Vietnamese lives to mere statistics; that President Lyndon B. Johnson kept escalating the war thinking that a few more bombs would kill the spirit of a people who just wanted to be rid of foreign powers; that diplomacy was never a first resort. And I cannot forgive Richard Nixon for making secret promises to the South Vietnamese government that he knew he could not keep, beginning during the 1968 presidential election and going until his resignation from office. This is critical information we all deserve to know, and serves to me as an important reminder of why this film matters. It’s not merely a homage to American heroism. It’s the beginning of a conversation that Vietnamese-Americans should have among themselves. Looking back, he wishes the South Vietnamese government could have better communicated to the masses why Communism was worth resisting. 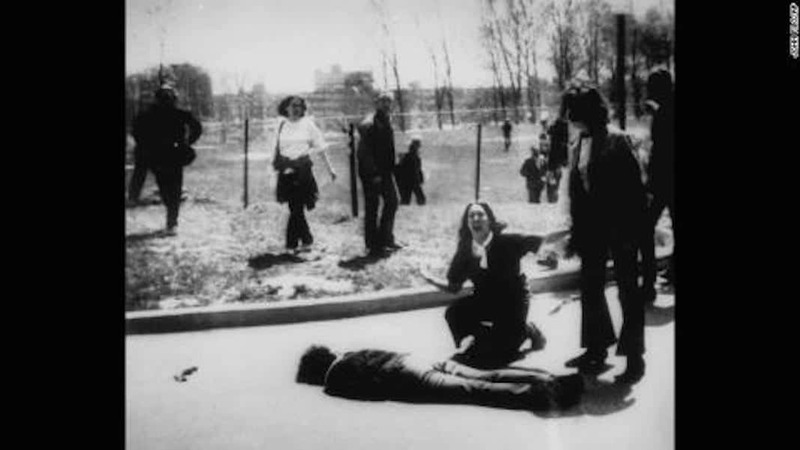 Instead, they learned in real time, in the months after the fall of Saigon on April 30, 1975. That’s why more than 1.5 million people fled the country by boat. I’m not sure all South Vietnamese refugees and their children are ready to reopen old wounds and consider the role we played – and that America played – in our country’s rapid demise. Is it possible for us to give up tired old tropes about this war being about freedom and that America saved us? Before I left my parents’ place last weekend, I talked with them about their lives during the time covered in the film. I learned little tidbits, like that my dad had been an election monitor in Saigon. And recruiters had asked my mother to join the Vietcong, but my grandmother fended them off. I wonder how they managed to survive wartime atrocities. Our family’s home village is Trang Bang, a place made famous when a little girl ran – naked and napalmed – toward the lens of an Associated Press photographer, Nick Ut. 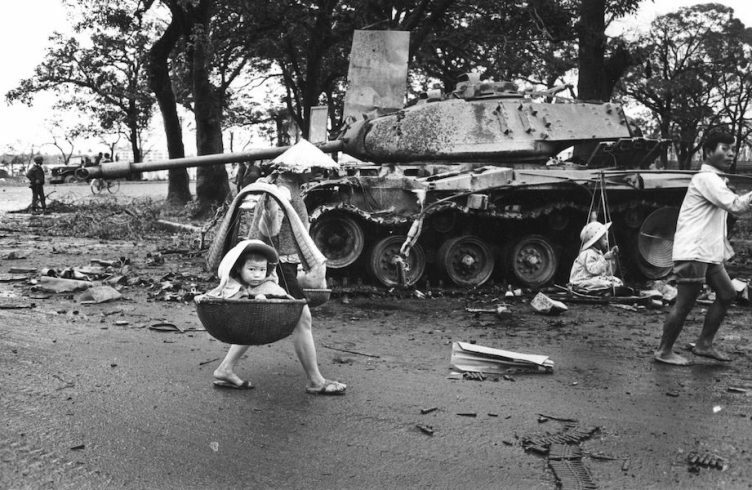 (The film mentions that little girl later “left” Vietnam for Toronto. That’s another oversimplification. She escaped.) Just one year earlier, my uncle had been murdered not far from that same spot for being an ARVN officer. The only way for me to reconcile with or to make sense of the carnage is to understand the root causes of this war. 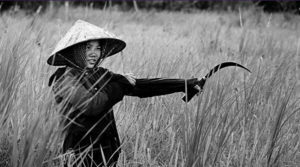 “The Vietnam War” on PBS is over, but my personal journey to understand what happened to Vietnamese people is just beginning. Thanh Tan is the host of Second Wave, a new podcast from KUOW in Seattle and PRX that explores American stories born from the Vietnamese refugee experience. Her parents fled Vietnam in 1978 and resettled in Olympia, Wash., where Thanh was born and raised. She resides in Seattle.